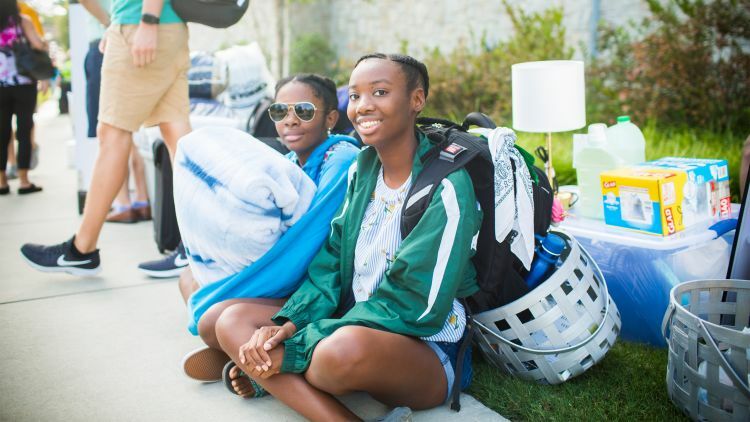 Carrying hopes and soaring expectations — along with a mountain of trunks, boxes and suitcases — Emory University’s newest first-year class arrived on campus this week, eager to immerse themselves in the undergraduate experience. Awaiting them were hundreds of volunteers ready to help with the exciting transition to college life. 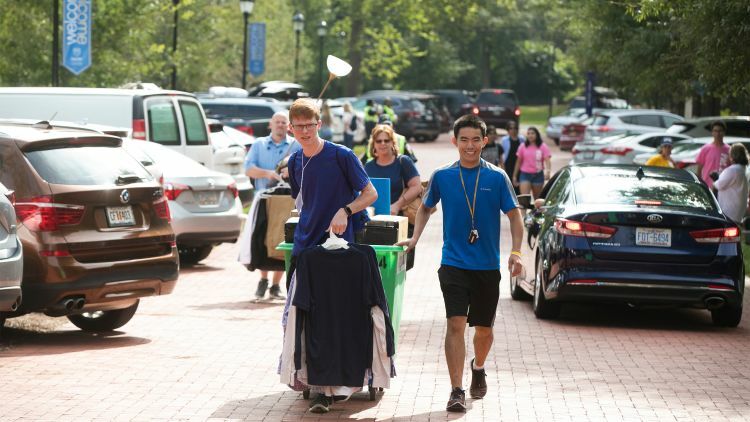 Student orientation leaders, residence assistants, university staff and Emory President Claire E. Sterk and her presidential leadership team were on hand to greet families, unpack cars and welcome first-year students into their new campus home. Before they even set foot on campus, the Class of 2022 was already making its mark. With 1,973 students set to begin their first-year experiences at Emory College of Arts and Sciences and Oxford College, it is officially the university’s largest undergraduate class on record, drawn from a record-high applicant pool. In recent years, that growth has been a steady trend, as more students discover the Emory difference. 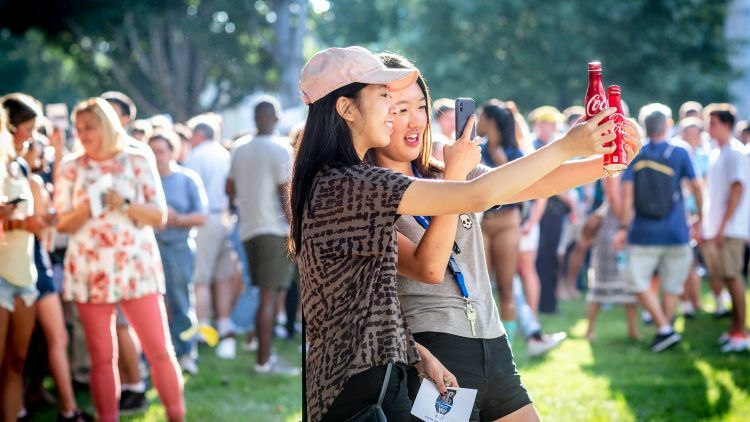 “As a leading research university with the liberal arts at its core, Emory offers students unparalleled opportunities to explore and expand their academic interests in an engaging and inclusive community,” says Dwight A. McBride, provost and executive vice president of academic affairs. 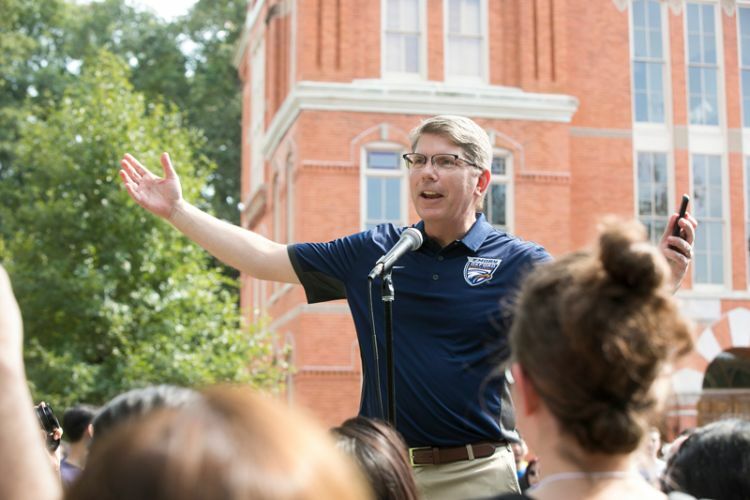 Offering some of the nation’s top academic scores, athletic, artistic and literary talents, and a deep record of community engagement, it’s an impressive class, says John Latting, associate vice provost for enrollment and Emory’s dean of admission. 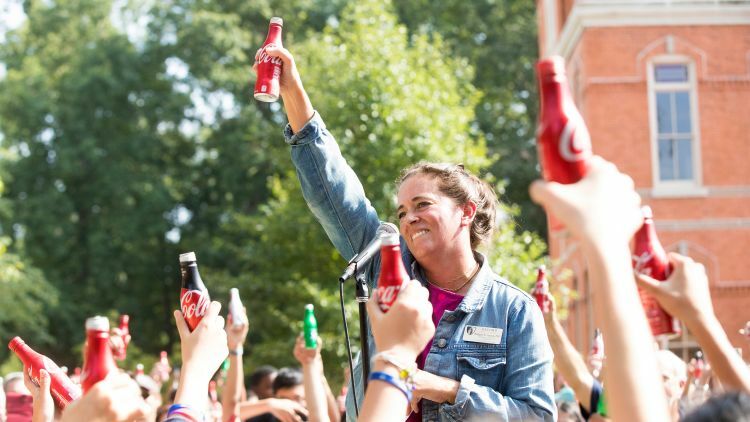 Emory College Move-In Day: Emory College greeted first-year students on Saturday, Aug. 25, with hundreds of volunteers and the traditional Coca-Cola Toast. 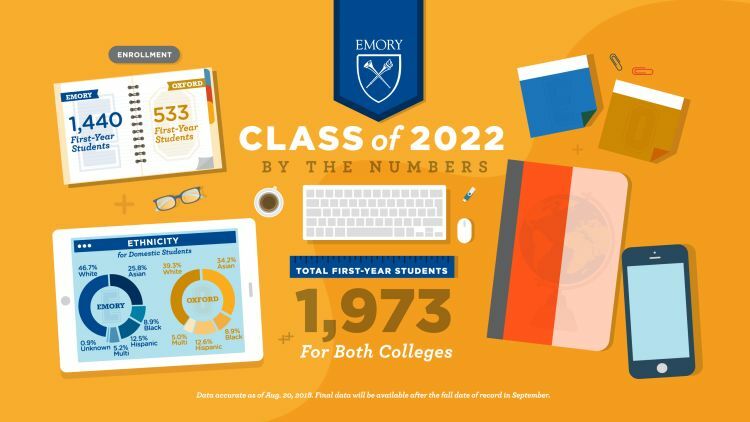 Emory University offers two unique starting points for prospective first-year students: They may apply to enter Emory College on the Atlanta campus or to study for their first two years at Oxford College, on Emory’s original campus in Oxford, Georgia. 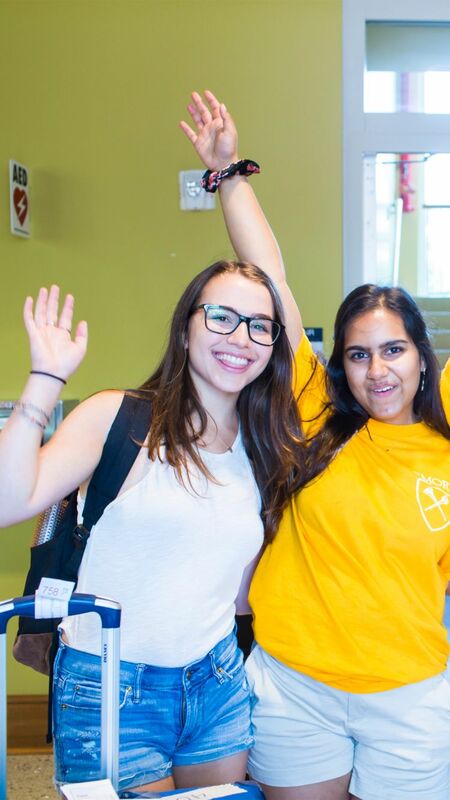 After the sophomore year, all students complete their undergraduate degree on the Atlanta campus through Emory College, Goizueta Business School or the Nell Hodgson Woodruff School of Nursing. 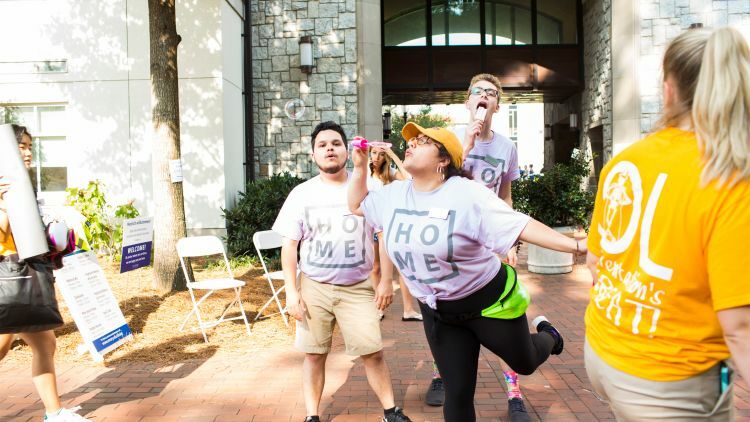 On Saturday, 1,440 first-year students, plus transfer students, began the four-day orientation for Emory College on the Atlanta campus — an introduction that ranged from moving into residence halls and meeting academic advisers to rousing Songfest practice, campus tours and peer discussions. 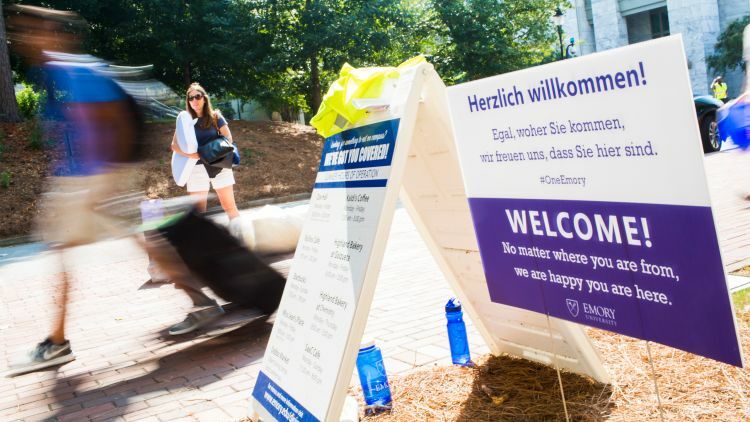 Returning Emory students and continuing students from Oxford College moved in on Sunday. 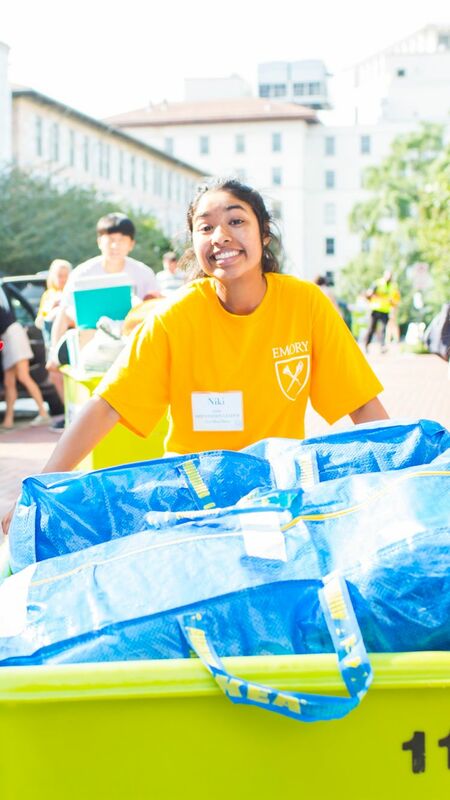 Move-In Day in a minute: See Emory&apos;s Move-In Day condensed into one minute of cheers, dancing, hugs and lots and lots of luggage. 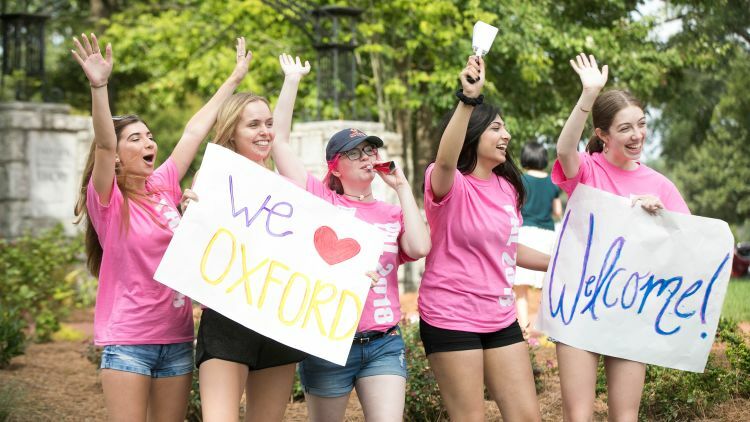 Oxford College welcomed 533 first-year students, who moved in and began new student orientation on Friday. 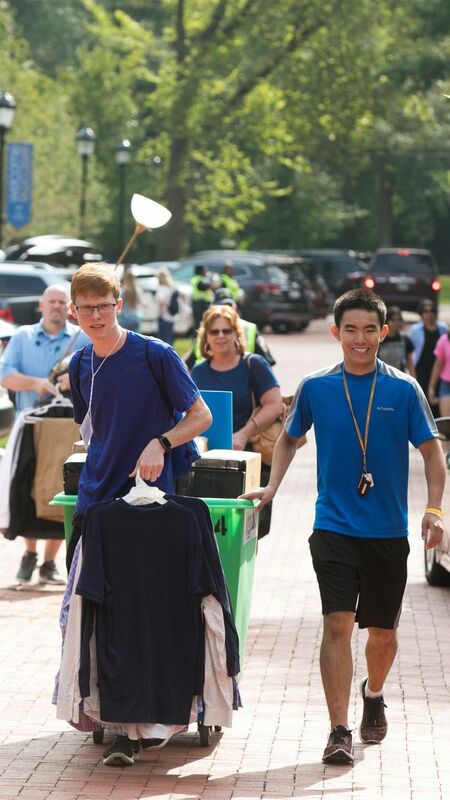 Sophomores at Oxford move in Tuesday, Aug. 28, in preparation for the first day of classes on Aug. 29. International students on both campuses began arriving throughout the last week. 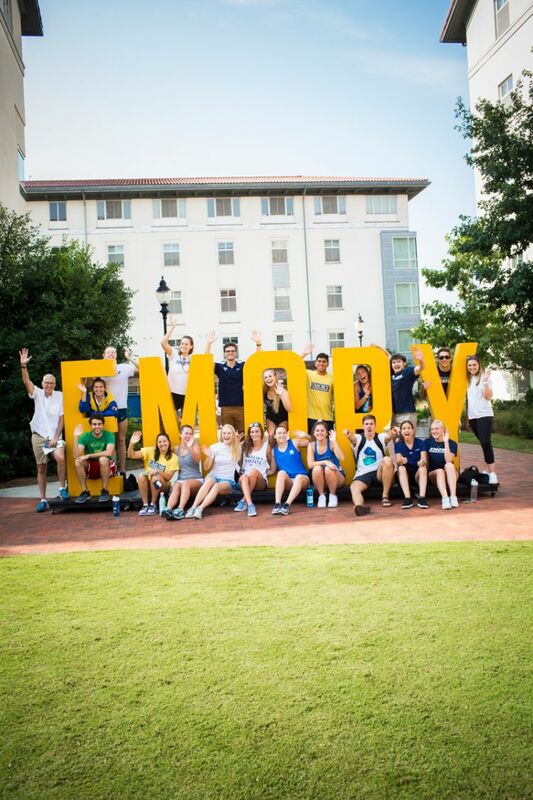 “Everyone remembers the day they first moved to campus — there is definitely a special energy about the experience,” says Michael Toney, director of new student programs for the Office of Undergraduate Education in Emory College. At Emory College and Oxford College, faculty, staff and administrators are ready to help the incoming class discover the opportunities to be found at a liberal arts college rooted within a top research university. 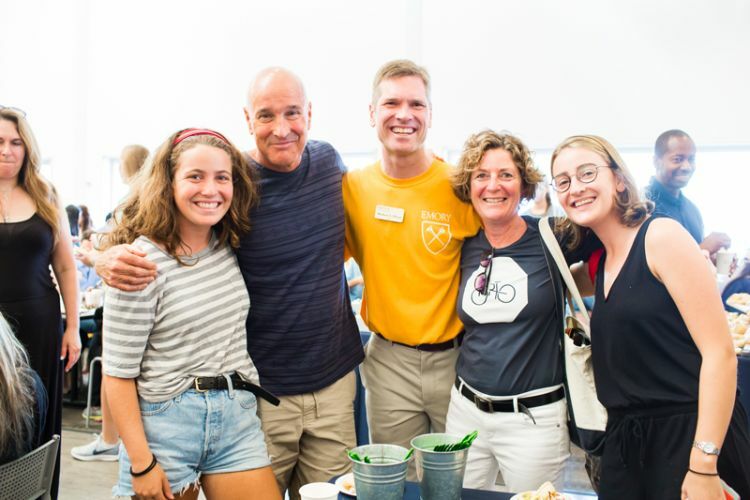 From around the world to Emory: International students in the Class of 2022, who arrived last week for orientation activities, pose with Emory University President Claire E. Sterk at an Aug. 23 welcoming event. 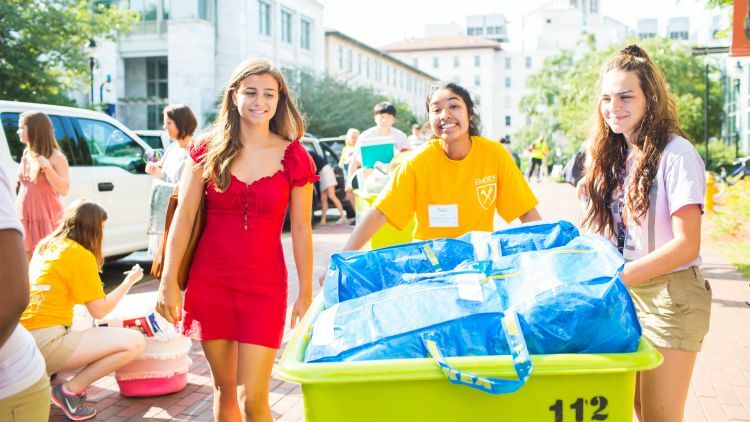 Oxford College Move-In Day: Emory&apos;s Oxford campus welcomed students in the Class of 2022 on Friday, Aug. 24. 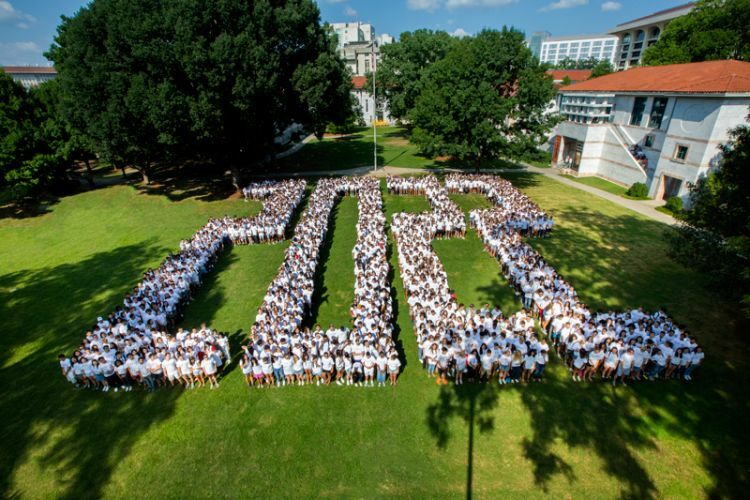 On Sunday, the entire Class of 2022 — nearly 2,000 students from both Emory College and Oxford College — convened for what is likely the largest first-year class photo ever assembled on the Emory Quadrangle. 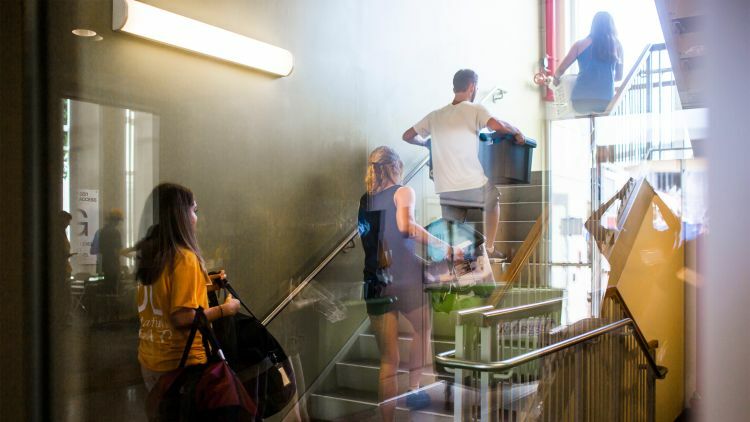 For both colleges, incoming students hail from across the U.S. and throughout the world, representing a broader range of cities and countries than ever before. At Emory College, 17.3 percent of the first-year class are international students; at Oxford College, 16.1 percent of the entering class hail from outside the U.S. On both campuses, first-year students bring with them a diversity of geography, gender, socio-economic demographics and ethnicity. Incoming students at Emory College and Oxford College offer a sweeping range of backgrounds and experiences (from first-generation students to children of Emory alumni), a variety of religious denominations and geographic roots that stretch from huge international cities to small towns and farming communities. 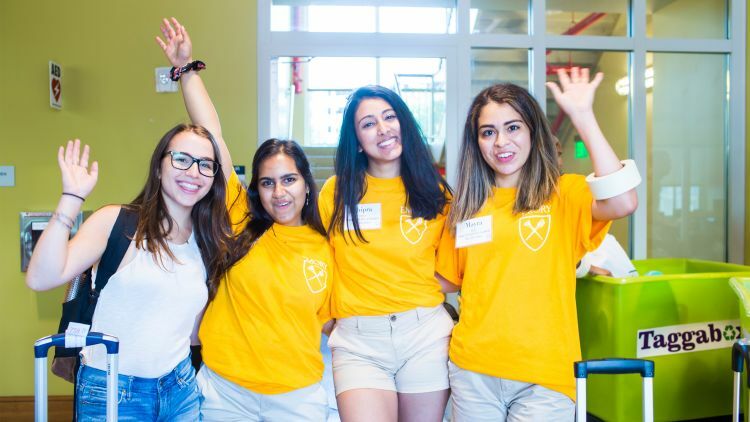 To assist students with acute financial need, this semester Emory has also enrolled 150 students through a partnership with the QuestBridge National College Match program, which helps outstanding low-income high school seniors gain admission and full four-year scholarships to the nation’s most selective colleges. 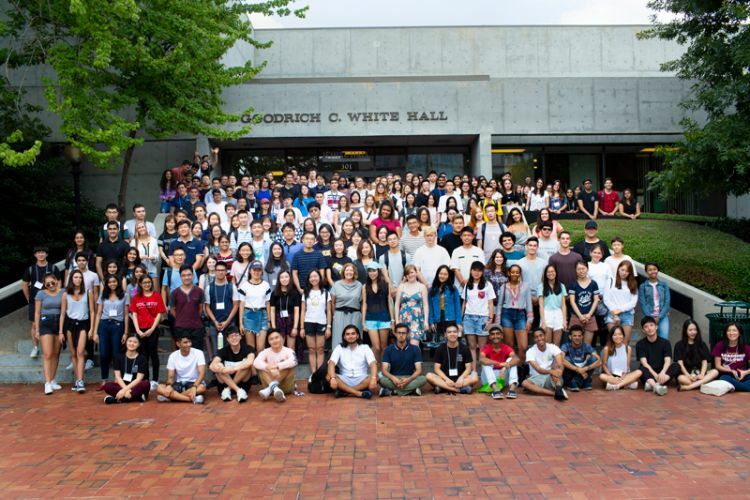 Emory annually enrolls one of the largest QuestBridge cohorts in the country — a response to the university’s commitment to diversity and an effort to ensure that an excellent liberal arts education is accessible for qualified students, Latting notes. 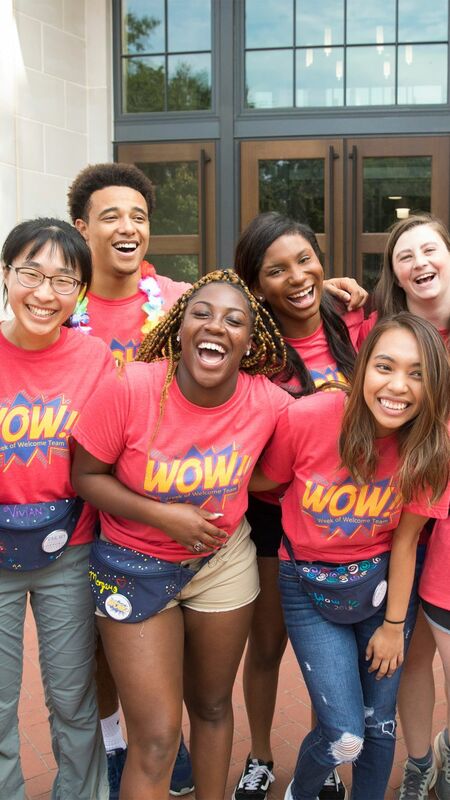 Collectively, they’re drawn by Emory’s strengths — a reputation for academic excellence, the opportunity to conduct meaningful research as an undergraduate, campus resources and distinguished faculty, the ability to pursue interdisciplinary scholarship at a global research university, and a beautiful campus. 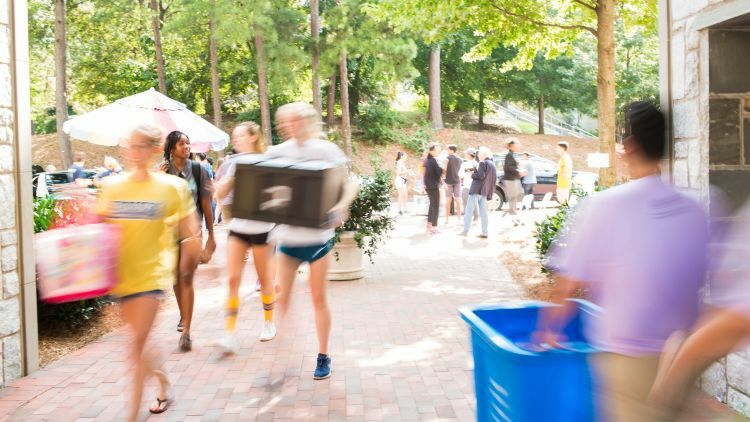 In total, Emory University received 27,982 applications from undergraduate students vying to join the Class of 2022, a 16 percent rise over last year, marking the third consecutive year of a record-breaking growth. Not only was the overall applicant pool up for the Class of 2022, the number of accepted students who elected to attend Emory College and Oxford College exceeded expectations. 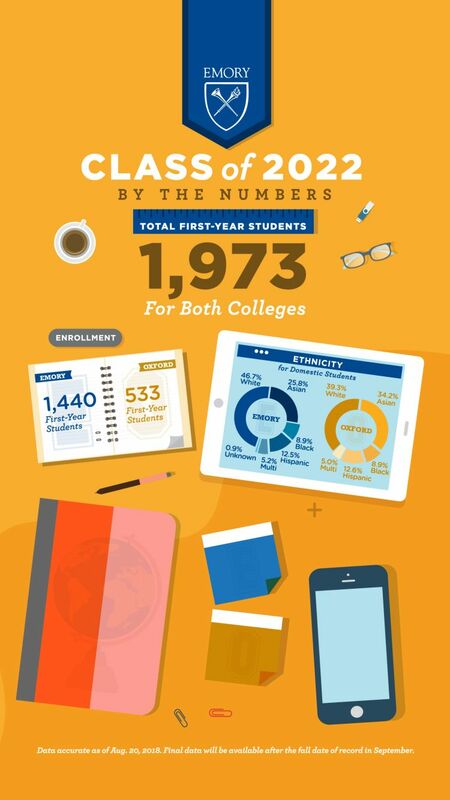 In fact, the student yield was so high across both undergraduate colleges that for the first time in recent memory, Emory University did not enroll any first-year students who were waitlisted, says Latting. “Emory University’s appeal has never been stronger,” he notes. But beyond the numbers, the Class of 2022 is distinguished by the promise of what they will bring to the campus and the classroom. 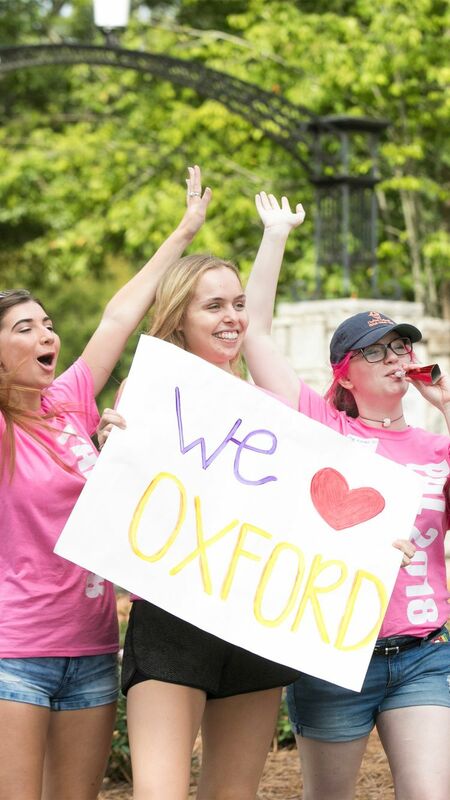 “We see a true spirit of the liberal arts in the incoming class,” says Kelley Lips, dean of enrollment services at Oxford College. 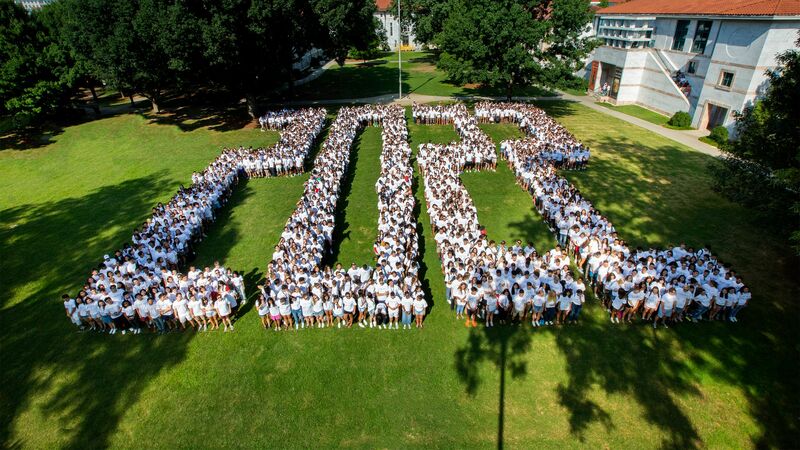 Emory University&apos;s Class of 2022, including students from both Emory College and Oxford College, pose together on the quadrangle on Sunday, Aug. 26. 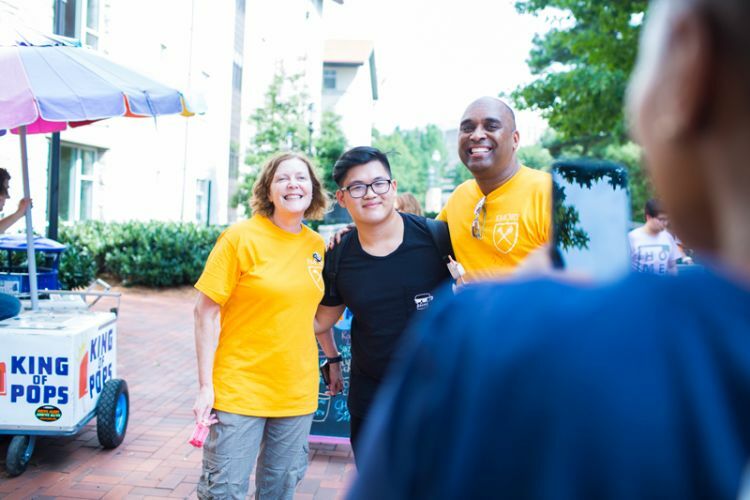 Emory President Claire E. Sterk and Provost Dwight A. McBride pose for a photo with a student as they help with Move-In Day on the Emory campus. Emory College Dean Michael A. Elliott visits with students and their families during a Move-In Day lunch on the Emory campus. 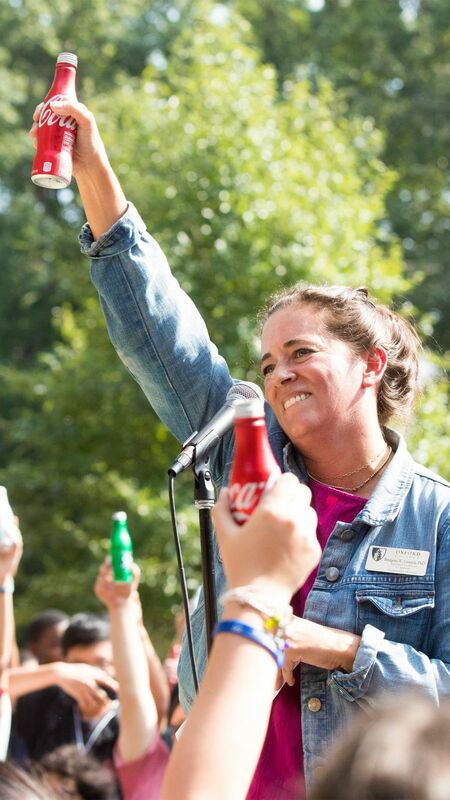 Oxford College Dean Douglas A. Hicks speaks to students before the traditional Coca-Cola Toast on the Oxford campus. 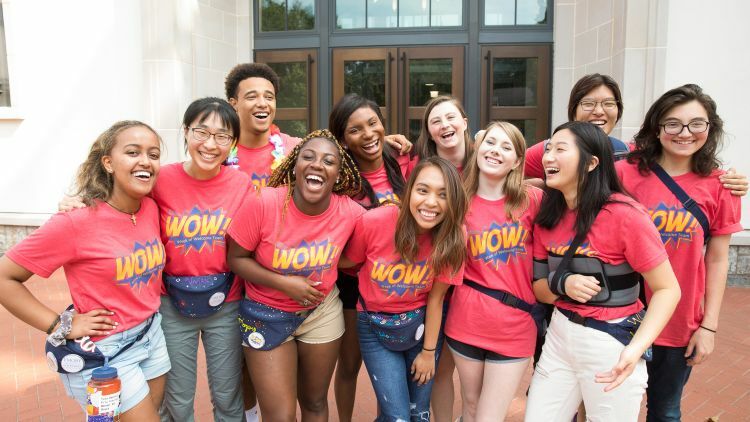 Talk with some of Emory’s new first-year students, and you’ll discover a collection of unique academic journeys. A few already know their campus by heart. Others have little experience in the American South, but are eager to explore it. Driving them all forward are bright, curious minds — each shaped by their own experiences, cultures and geographies, but ready to embrace the challenge of new beginnings. Born in Mexico, Dayra Leal Sanchez was two years old when her father moved to the U.S. to seek work in the farm fields of California, returning home only a few weeks every year. By the time she turned 8, he had secured the documents necessary to bring his family with him. And for the first time, Leal Sanchez understood what it was like to be seen as an outsider. The student-led service program found her covering floats with flowers for the annual Rose Bowl parade, cleaning houses, collecting food and Christmas gifts for low-income families, and sponsoring running races to raise money for research into various illnesses. Through volunteering, she felt acceptance, purpose and empowerment. Whatever Leal Sanchez does next, she knows it will involve striving to bring positive change to the world. 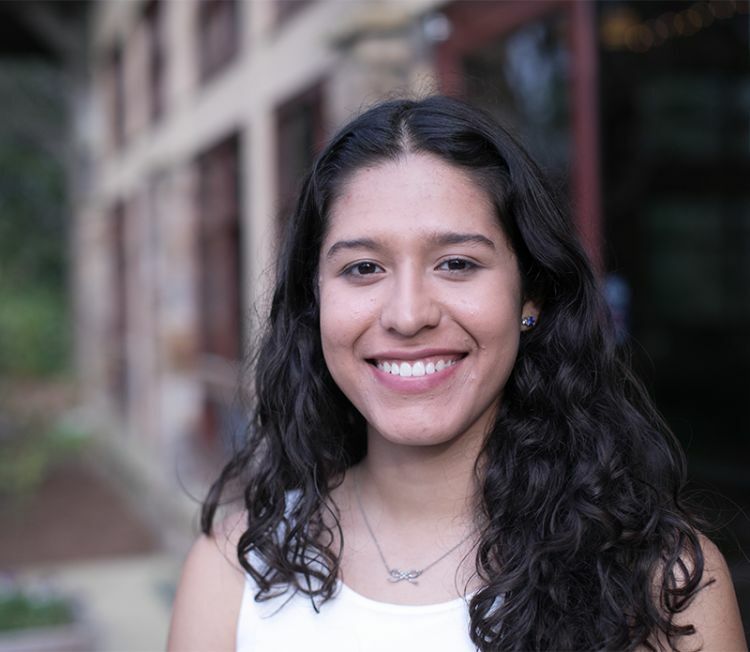 A high school mentor helped her apply to Emory; she was shocked when an email arrived from the Emory Scholars Program in Emory College announcing that Leal Sanchez was a finalist for a merit-based Robert W. Woodruff Scholarship. Learning that she would receive the signature Woodruff Scholarship, which will cover her expenses for four years, was overwhelming. “I was speechless,” Leal Sanchez says. 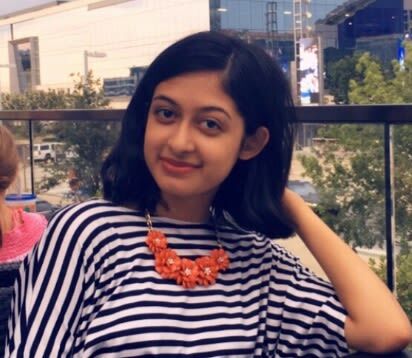 For years, Paakhi Srivastava envisioned pursuing a career in medicine, dutifully filling her high school schedule with AP biology and chemistry classes. But over time, she realized it was actually human psychology that most interested her. 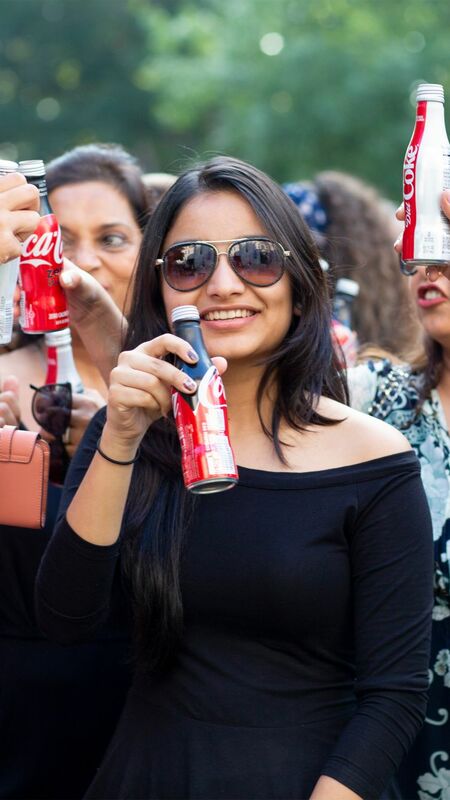 That’s how Srivastava became founder and president of her high school’s first EQ (Emotional Intelligence) club, which inspires students to recognize emotions within themselves and others, allowing that information to guide healthy behavior and choices. Through the club, she did outreach to students, teachers, parents and even members of her wider South Lake, Texas, community. Soon, she had launched a branch of the club at a local middle school. Her message focused on basic time and stress management skills, work that eventually resulted in a presentation at a regional TEDxYouth talk. Inspired to take an economics class, Srivastava found that she not only enjoyed it, but was good at it. When it came time to apply to college, Srivastava sought strong business schools. 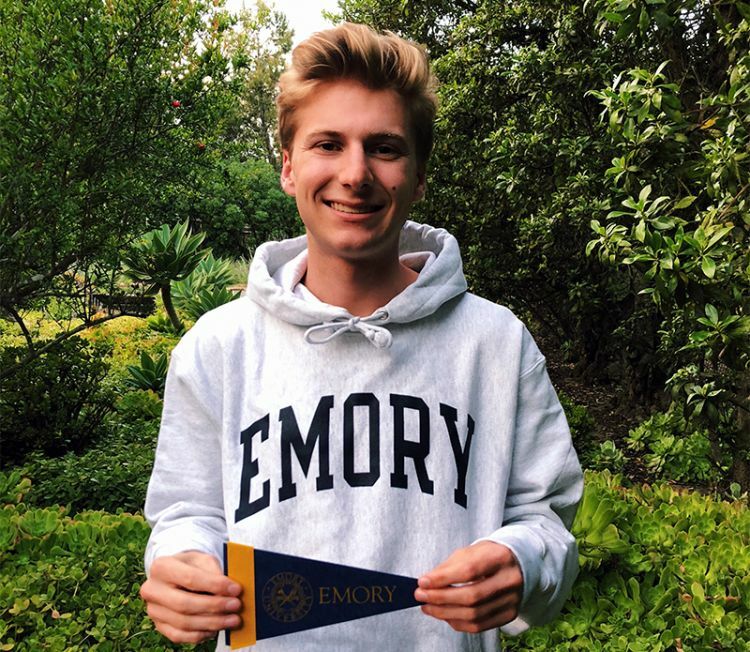 As he transitions from his home in Del Mar, California, to Emory, Tayer expects his academic interests to continue to evolve. And given the interdisciplinary flexibility the university allows students in shaping their course of studies, he’s excited about where that might lead. “I’m looking forward to taking the kind of classes that I really want to take,” he acknowledges. Stepping into college life this week, Tayer is ready for the newness of everything that awaits. New world. New friends. New interests. Possibly, an entirely new academic direction. He first learned about Emory from his high school counselors. When he was accepted into Emory College, Tayer began to research the university in earnest. And he was impressed by what he found. 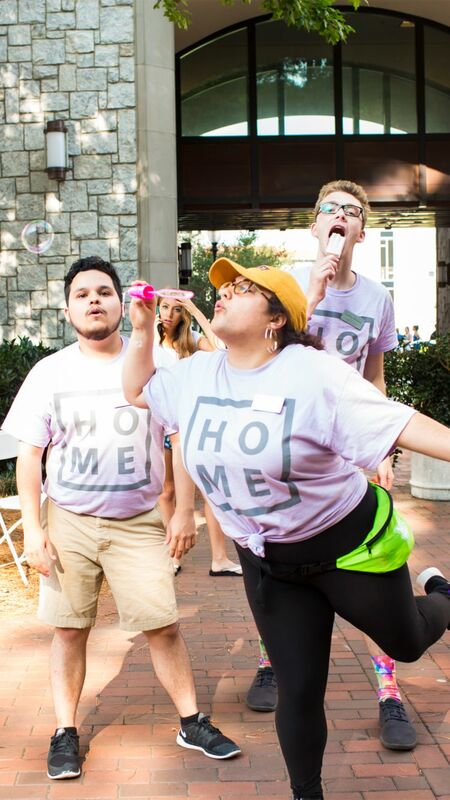 With a reputation for high academic standards, Tayer sensed he would find within Emory not only a vibrant intellectual community “where people really liked learning,” but also a place that supported well-rounded students and engagement with the broader Atlanta community. 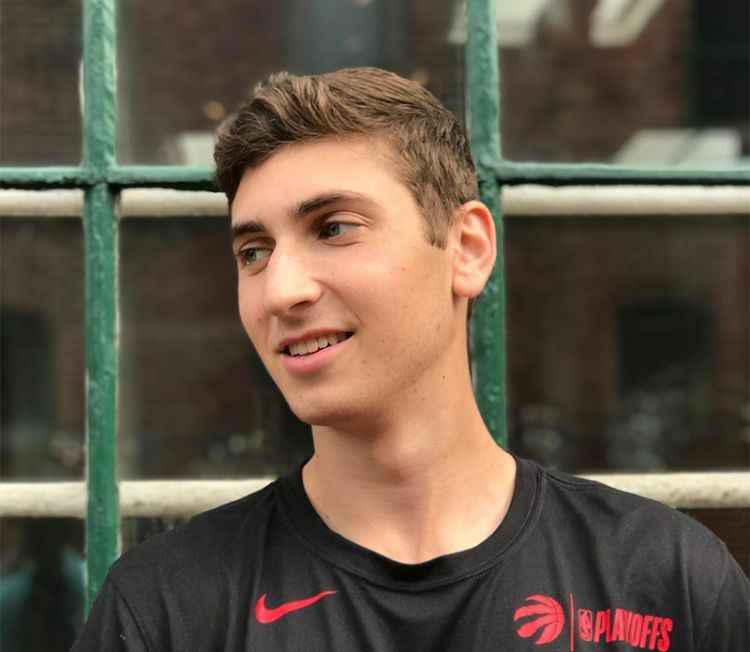 For someone who’s been active in school clubs and has volunteered with many community organizations in his hometown, experiences beyond the classroom are important. In the end, that was what it came down to. Emory just felt right. He committed without ever having stepped foot on campus. When you are the first in your family to go to college, the pressure is on. The pressure to make the right choice. The pressure to perform. The pressure to succeed. 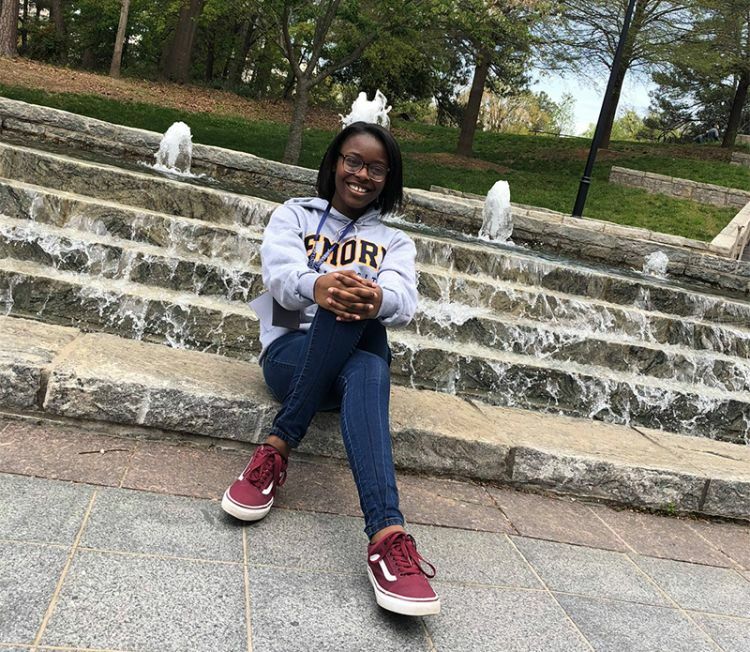 The chance to visit the Atlanta campus for an Essence of Emory weekend — an invitation-only program for admitted students from underrepresented backgrounds who demonstrate high academic achievement — convinced her that she could find those connections in Emory College. Early on, Minefee knew she wanted to pursue a medical field. Nursing, she decided, would be a way to get there quickly. “I thought I would become a nurse, then eventually a mental health nurse practitioner,” she explains. Since committing to Emory, she already feels her horizons expanding. “Now I’m thinking maybe psychology or even public health,” she says. 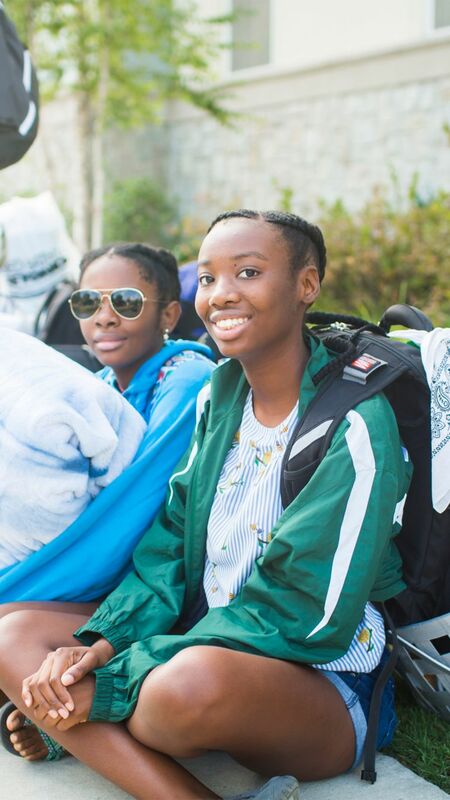 As she packed for her family’s car trip from Cleveland, Ohio, to Atlanta, Minefee reflected on what lies ahead. Ask Aaron Gerber what drew his attention to Oxford College and he talks about the opportunity to blend two passions: academics and athletics. This fall, he’s excited for what awaits him in the classroom, but also for the chance to play basketball, working with Oxford College Athletic Director Roderick Stubbs, who is also the head men’s basketball coach, and Timothy Terry, assistant basketball coach. At the same time, Gerber was seeking a smooth transition into college life. When it comes to academics, he’s long had a business degree in mind. But physical therapy treatments following a recent ankle injury have also turned his attention toward medicine. “I went to a great physical therapist, just was mesmerized by what he was doing,” he recalls. Now, in addition to a BBA, Gerber is also interested in pursuing a minor that would allow him to explore some aspect of health and medicine. About this story: Written by Kimber Williams. Emory College photos and video by Ann Watson, Kay Hinton, Stephen Nowland and Corey Broman-Fulks. Oxford College photos by Jeff Roffman. Profile photos courtesy of students. Infographic by Angela Vellino. Editing and layout by Laura Douglas-Brown.